This is it! The end-all, be-all, best low carb dessert ever. 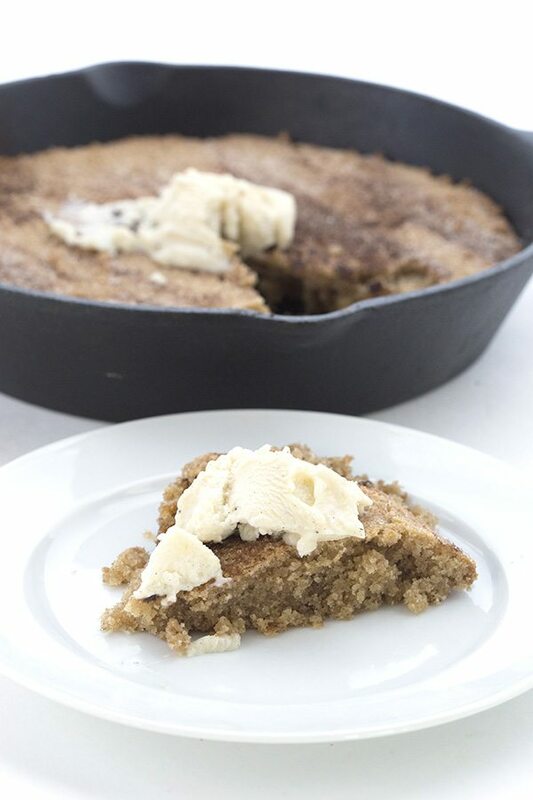 This grain-free Snickerdoodle Skillet Cookie will delight your tastebuds. This post is sponsored by Bob’s Red Mill. I have one very strict, unbreakable rule about healthy eating: I don’t proselytize. There is nothing, and I mean NOTHING, more off-putting than unsolicited advice about what you should or shouldn’t eat. I have very firm opinions on the matter, of course, and feel strongly that much of the world could benefit from a low carb, high fat diet. But it’s not my place to get in people’s faces about it. If we happen to get talking about the subject, I will tell you very diplomatically what I think, but I won’t push you to try it. I will suggest, I will gently advise, I will tell you what works for me. I will lead by example. But I won’t put anything into absolutes, I won’t tell you that the ketogenic lifestyle is the only way you will lose weight or manage your diabetes. As far as I am concerned, my job is just to make the food so damn good, you can’t resist. I win you over with the proverbial honey, rather than the vinegar. Even within a particular diet, there are always those who want to tell you exactly what to do or not to do. It irritates me no end, quite frankly. Our bodies are all extremely different, and how they handle carbs or protein or fat varies greatly from one individual to the next. So many factors come into play here, including family history, age, size, gender, and activity level. So I have a tendency to roll my eyes at those who come out, guns a-blazing, shooting off their mouths about this or that rule. And I always wonder what they think they will accomplish. It’s human nature to resist when someone gets pushy with you. It’s like your parents telling you to go do your homework…you just don’t wanna! Now, if someone solicits your opinion, that’s a whole different matter. But don’t give in to the desire to tell people there is only one right way to do it, because it simply isn’t true. There are as many styles of the keto diet as there are people doing it. For me, one of the ways I manage to stick to my low carb lifestyle is to indulge in dessert on a daily basis. 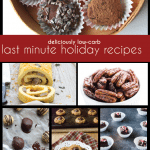 And you really have to love a diet that allows you to do just that, as long as the sweets fit the low carb MO. I know some folks find that the sweets tend to kick off more cravings and can send them into a tailspin, but I am not one of them. While I do sometimes overindulge, I mostly keep my desserts for after dinner, and I try to keep my portion sizes reasonable. I find that having some sweet to look forward to makes my whole day more pleasurable. It keeps me on track, knowing I have that in my near future. Call me Pavlov’s Dog, but the reward at the end of the day makes me very happy. Not to mention that I love to bake and simply couldn’t live without it. And I couldn’t bake without my trusty low carb, gluten-free side-kick, aka Bob’s Red Mill Almond Flour. 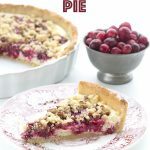 When I want cookies, when I want cake, when I want pie…when I want basically any dessert that requires a substitute for wheat flour, I use Bob’s. I’ve always loved their brand and their mission, so when they created their Super Fine almond flour, I became the happiest little low carb baker on the planet. 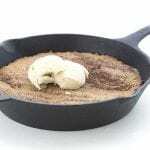 And when I made this low carb Snickerdoodle Skillet Cookie, my kids became the happiest low carb kids on the planet. This is so good, so tender and cinnamon-y, that they all declared it to be their favourite dessert ever. It’s definitely a treat worth staying on track for, wouldn’t you say? Many thanks to Bob’s Red Mill for partnering with me to bring you this post. This is it! The end-all, be-all, best low carb dessert ever. 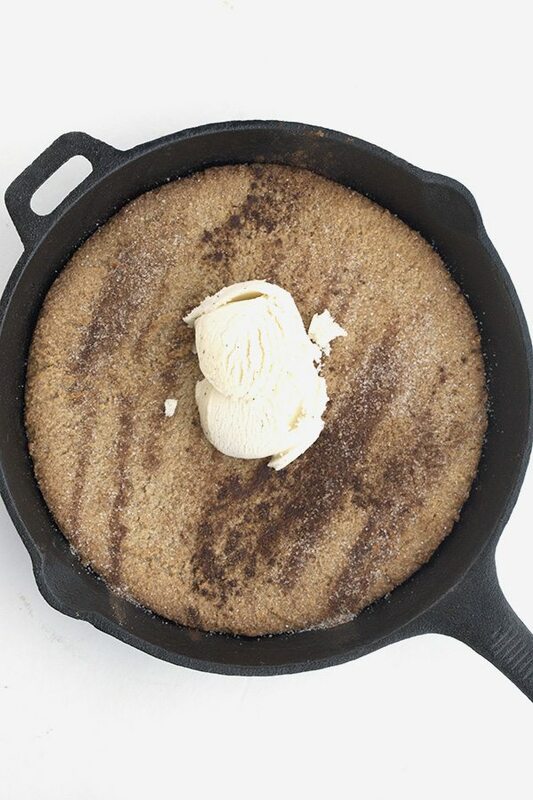 This grain-free Snickerdoodle Skillet Cookie will delight your tastebuds. Preheat the oven to 325F and grease a 10-inch oven proof skillet (cast iron is best). In a large bowl, whisk together the almond flour, sweetener, cream of tartar, baking soda, cinnamon, and salt. Stir in the butter, egg, and vanilla extract until well combined. Spread the dough in the prepared skillet and smooth the top. Bake 22 to 25 minutes, until the cookie is set around the edges and just barely set in the center. Remove and let cool 10 minutes before serving. In a small bowl, whisk together the sweetener and cinnamon. Sprinkle over the cookie. To serve, scoop the cookie out by the spoonful or cut into slices when it's completely cool. 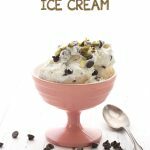 Top with low carb vanilla ice cream or lightly sweetened whipped cream. Serves 8. Each serving has 3.41g NET CARBS. Unfortunately we don’t have cream of tartar here 🙁 Can I sub baking powder for the cream of tartar and baking soda? And if so, how much would you say I should use? You can. It won’t officially be a snickerdoodle but it should still be good. I’d use about 1 tsp. There are sub ingredients sites. Just go to Google. I have found them very helpful. Even with spices. What is the benefit of the black iron, is it textual? All of my black iron has spent years getting seasoned with grease never seeing soap, and I’m not sure that would play happy with this cookie. What do I lose using a pie plate or perhaps a copper bottom stainless fry pan which is damn near as heavy as cast iron. It gives it a crustiness on the outside that isn’t quite the same with other pans but you should be okay with another oven-proof skillet. My pans are well seasoned too and I find that this doesn’t really mess them up. I scour them out without soap, just kosher salt. Then I coat them in some oil and put them away and they are fine for the next time. Thanks for getting back. So then there isn’t any sort of off-putting flavor transfer from years of frying chicken in bacon grease? 🙂 I used to use salt as well until I discovered the “chainmail” pad on Amazon made for cleaning black iron. ..nifty. Thx again. I’m having a bunch of fun with ur recipes and with few problems. That said I hope you’ll join me at your “Nutella” recipe for a question I’m about to post. Bill, I was worried about that too. Also my pan is not 10 inch it is 12. So I invested in a small 10 inch cast iron pan that I use only for baking. They arent expensive either! I love my chainmail thing too! They’re awesome! What is the “Chainmail” thing? Sorry I am rather new to this. Thank you. That’s a good point. The area of a 10″ circle is 78.5 square inches (thank you, Google). I have a Pampered Chef small bar pan that I might try. I think it’s 11 x 7 (can’t get up to check as I have two dogs on the recliner with me!). Otherwise I’m thinking pie pan. When my husband came home from the store this last weekend with 4 new bags of BRM Almond Flour, and it said “Super Fine” on it, in my mind I heard the Hallelujah Chorus 🙂 I was never so glad I’d run out of a product in my life ! This recipe looks excellent ! 1. We do love our (my grandmother’s) cast iron. 2. Cinnamon is ALWAYS on the menu! 3. My son is stopping by on his way home from work today. 4. Here is this perfect recipe…. My store had Honeyville Almond Flour, but then the last time they had Blue Diamond. It is definitely not as nice as Honeyville. Should I put it in a blender to make it finer? I haven’t tried Blue Diamond. If you think it’s not as fine as Honeyville, it may be worth trying to grind it further. I recommend a coffee grinder. I’ve had really good luck baking with Blue Diamond. I am sooooo making this when I get back from Disneyland next week! It looks so good! Also, I have to say I absolutely LOVE this post. I’m in a couple of keto groups on Facebook and man, some of them are very confrontational about this WOE. I’m still struggling with wrapping my head around keto because while I KNOW it is the best thing for me, I have a husband who has had open heart surgery and is on BP and cholesterol lowering medications. His genetics are very different from mine and I’m just not sure his body would respond to LCHF the way mine does. When I eat this way, my cholesterol numbers go down but then again, those numbers only gradually began to increase as I hit menopause. What works for one, doesn’t necessarily work for everyone. Something I’m struggling with is how to cook LCHF for me and low-fat for him. ARGHH! I think I need to research keto and heart disease. Thanks for all you do! You are amazing!! 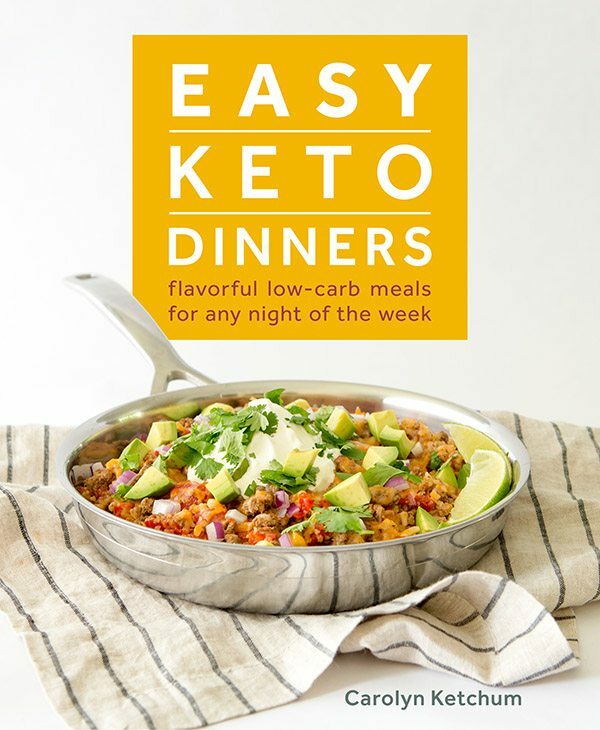 You make being low carb soo easy! I’m in the same mind frame as you, I look forward to my sweets, and if I can have them (everyday) I stay on track with my “diet”. All you’re gorgeous recipes are amazing, but what makes them super amazing, is that their so easy & simple, you don’t have to go running all over the country side hunting down odd ingredients, that you use once then it sits in the back of your pantry til it dies… (I’ve done that so many times over the years) because the recipe ends up not being as great as it looked or sounded. However, EVERY SINGLE one of your recipes is stunning. Simple, easy, absolutely delicious, and doesn’t feel like your “dieting”…. You are an extraordinary culinary artisan!!! Please, keep up the amazing work!! Can I substitute stevia for the sweetener? That’s all I have on hand right now. If so, how much? What kind do you have? Liquid or powdered? Or do you have the stuff that is like a baking blend? I have same question. I usually use truvia in baking. Its half amount of sugar. Can we use that? I used Halo Top. I would use my own but I haven’t made any in a while! I just have the big bag of honeyville almond flour. Will that not work? Speaking of Halo Top, just tried their chocolate mint chip. Really delicious, as good as Breyers imo. but very expensive. Will have to try making my own once I get an ice cream maker. My daughter has a nut allergy. Do you have any suggestions for replacing the almond flour? Yes try sunflower seed flour. I have a video here about how to make your own https://alldayidreamaboutfood.com/2015/12/how-to-make-your-own-sunflower-seed-flour.html But make sure to use a tbsp of lemon juice or vinegar so it doesn’t turn green (a reaction between the lecithin in sunflower seeds and the baking soda). I made the Snickerdoodles yesterday with two varations. The problem I have is a salty-metalic after taste. Any Ideas? Splenda. You’re problem right there. Is your pie plate metal? May have been a funny reaction. Wow! I made this and it was AMAZING! Buttery and soft, soooo delish! And I am pretty critical of my keto desserts. I used a glass pie pan bc I don’t have a cast iron pan. I also used Pyure ( a stevia erythritol blend) bc I don’t like the cooling effects of Swerve. It came out perfect. And for whatever reason after storing it in the fridge overnight, the taste was even better for me. Thank you, thank you Carolyne!! Can erthyerol be subbed for the Swerve? Wow! I can’t wait to try this out. Like you, I don’t preach because I find that although most people say they want to be/eat healthier, they don’t want to give up what they are doing now. 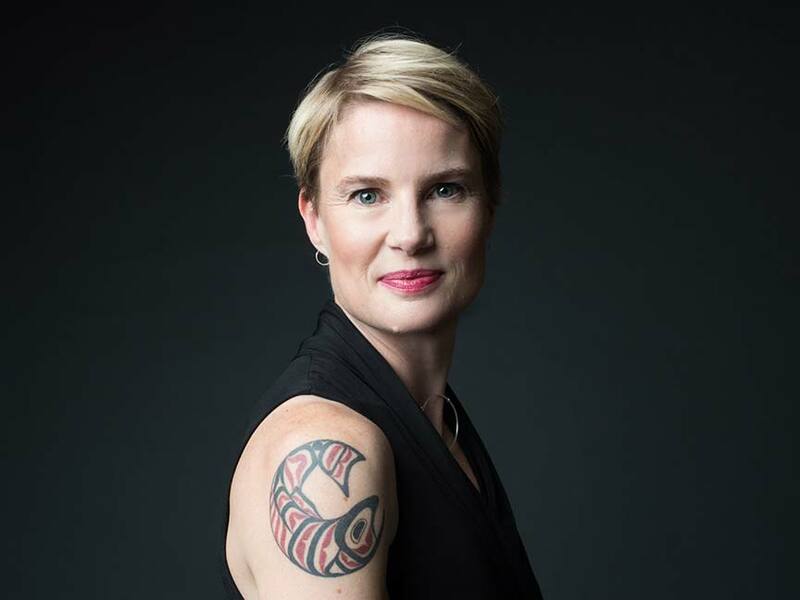 I know that for myself it wasn’t until I got the dreaded but not unexpected diabetes diagnosis in November of 2015 that I realized I needed to take action. I am now nearly 50 pounds lighter and feel 30 years younger. The best news was that on my last visit to my doc in August, he removed the diabetes diagnosis from my chart. I can’t even imagine going back to eating like I did before and thanks to generous people like you, I don’t have to. I love having my cake and being healthy too! Love your recipes. I so wish swerve and I could be friends, however I do ok with a little coconut sugar and stevia to taste. I am so appreciative of all your efforts and sharing with us out here. 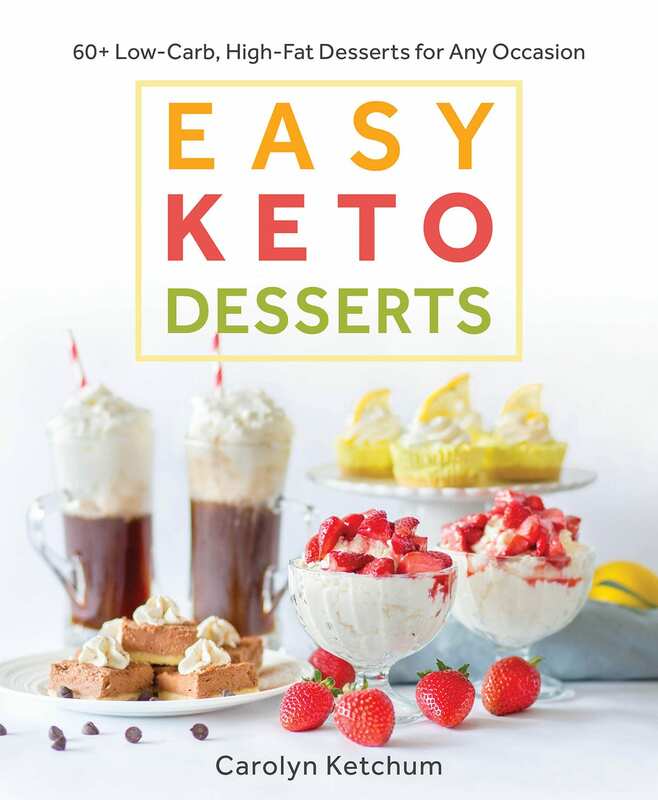 So are you always Keto when having these treats? Would they be too high fat etc for someone a little more moderate carb/low glycemic? I am not strict keto, no. I do phases of it, though. This is more moderate, I would say. I love your philosophy on eating! 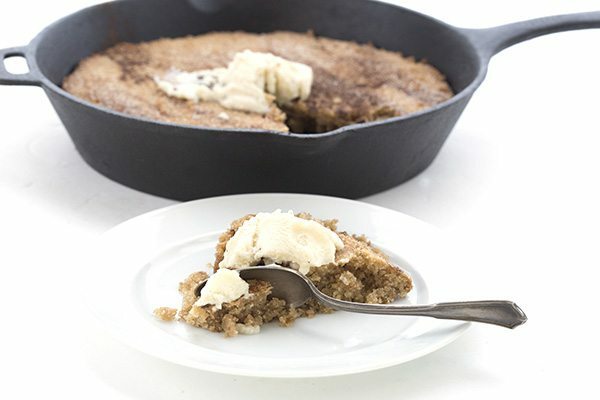 And I love this skillet cookie! It looks amazing! This was super easy to make and the result is a lovely moist cinnamony cookie!!! Thank you for yet another delicious recipe! I made this yesterday and it is definitely a keeper!!! Thank you! Yum. I thought this was very good warm, and even better the next day when it was room temp and firm enough to pick up a slice and eat. Also, I really dislike making balls of dough for individual cookies, and am always looking for reasons to cook in my iron skillet (my iron levwls tend to run low).So this one is a winner for me from a bunch of different angles. Thank you! 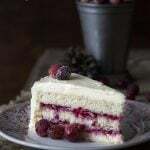 I was going to make a cheese cake but while reading the recipe it quoted chill over night and I need it tonight!!!!. But as luck would have it a new cast iron skillet was ordered last week and to my surprise I found this beast of a desert, also my wife really enjoys and good chocolate chip cookie in a skillet (pizza Hut used to serve them) but we now have no pizza hut near us plus they stopped serving it Carolyn this was fate I will let you know how it went also I made baileys ice-cream last week this is a marriage made in heaven. Sure, it should freeze well. It turned out amazing! It was so easy. I didn’t have a skillet or a 10 inch pan but used a 9 inch pie plate. It worked still lol. Thank you! Made this a few hours ago and it truly is AMAZING. I ran out of swerve so I used Splenda. My cast iron had bacon grease in it so I used a spring form pan. I cheated a little and added 1 Tbsp. Brown sugar Splenda and 1 T organic Honey. Only because were not being strict with our carbs but yet trying to watch them. THIS was amazing my husband cant stop eating it. As a couple of diabetics, this has truly hit the spot. LOVE THIS! Do you think this could be made on a stove top? 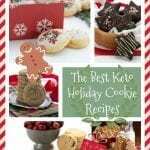 Or do you have any stove top cookie recipes? We don’t have an oven. This really needs to be baked, I am afraid it wouldn’t cook through on a stove top. A healthy snickerdoodle? Where do I sign up? Hiya, love your recipes! 🙂 I love them because they are real food that my hubby and daughter would recognize and not balk at because they are “diet food”. Okay so I just did the math. The area of a 10 inch skillet would be 78 square inches. The area of a 6 inch skillet would be 28 square inches. So it’s kind of awkward and I think you’re looking at doing 1/3 of the recipe and then baking it less because it won’t be as deep. The egg will be your toughest part to reduce but your best bet is to whisk a whole egg in a measuring glass and then figure out how many tbsp it is and use 1/3 of it. Won’t be exact but close enough. Great idea. In this case, you don’t really need to be exact, thankfully. 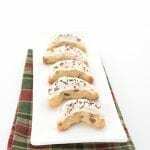 Just a thought, but you could simply make the entire batch, make your 6 inch cookie, and freeze the rest of the dough for future use. First: I think this looks delicious and well within my ability as a baker. I must try it! Second: I am in 100000% agreement with you about not proselytizing regarding keto/lchf etc. I have my beliefs based on what has worked for me and what I have read from some very smart people. But I will never tell anyone they HAVE to try this. I will never be the person who spams social media with posts about this woe. If someone asks me what I’ve done to lose weight, I usually say that I’ve cut out sugar (which is true), and only if they press for more do I go into the whole shebang. I’m very grateful that you and I are on the same page with this. Thanks! This was so easy to make, and turned out amazingly delicious! I bought a cast iron pan just for this (I was looking for an excuse to buy one anyway) and it was so worth it! The only halo top ice cream I have wouldn’t compliment this flavor, but I may have hubby go grab some vanilla for next time! Thanks for the recipe! I do have what may be a dumb question. Do I need to refrigerate the leftovers? Or will they be okay on the counter? How long would they keep either way? Just two of us in my house. Thanks again! They are fine on the counter for a day or two but refrigerate after that. I had never heard about this before and it’s the best thing I’ve ever seen. God bless low-carb desserts! This turned out great! 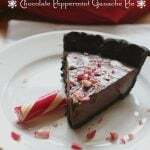 I made it in a glass 9 ½” pie plate and everyone loved it. I especially love that it comes together in about 5 minutes! 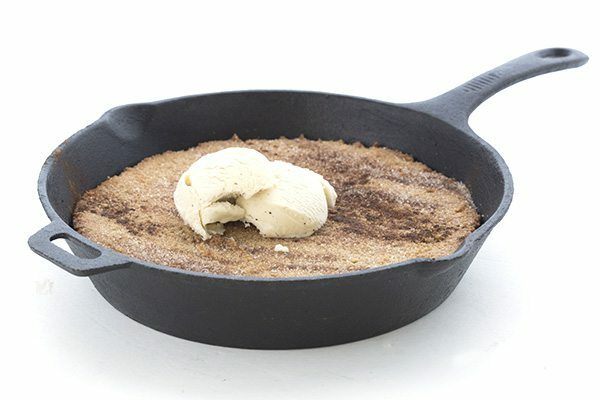 Hey, I was wondering if I could make this as cookies instead of a skillet cookie? 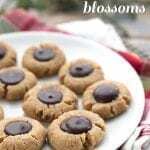 Can I substitute Cocconut flour or some other non-nut based flour? We have a nut allergy n out family so I would never se almond flour for anything. In this recipe, coconut flour would be awful. But you could do sunflower seed flour. Just make sure to add a tbsp of lemon juice or vinegar so it doesn’t turn green. Great, thanks so much..we’ll give it a try! This is a keeper, so easy to make and yummy!!! The dough was soooo delicious, I might use it one day for cookie dough ice cream. Thank you for your fabulous recipes, you rock! Made this yesterday for bible study group( aka my Guinea pigs?). It turn out beautiful and wasa hit. Only difference was my sweetner, I use xylitol. Oh. Yes. These are fabulous! Thanks so much for this recipe. I used Just Like Sugar for the recipe, and Just Like Sugar Brown sugar and cinnamon for the topping. Yum! This cookie is delicious! Smells so good out of the oven it will be hard to wait for cooling! Hi there! I’ve been looking forward to this for weeks, -! : I bought a cast iron skillet just for it 🙂 We seasoned it several times, so were good to go there. I followed the recipe to the T, but when it was done, the cookie a) wasn’t sweet at all and b) crumbled into so many crumbs I could barely even use a spoon. What sweetener did you use? And what brand of almond flour? Thanks! I tried both Bob’s super fine almond flour as well as JK Gourmet fine almond flour , and then both powdered stevia and then swerve (separate times). I know I could easily up the sweet factor with a bit of liquid Stevia, but the crumbling factor is a bit my cooking expertise! Thanks in advance! It hasn’t been overly crumbly for anyone else or for me so it must be soothing with your oven? Maybe reduce the baking time by a bit. Remember, though, that this is supposed to be scooped out of the pan. it’s not really meant to be served in perfect slices like pie or cake. One thing I noticed though was it had a decent apple flavor and I’ve no idea why but the whole family noticed it too. The only switch was I used Splenda since sweetener isn’t available here and Splenda doesn’t bother my glucose-diabetic here, keto for four years nearly. 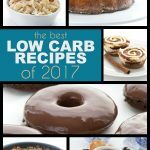 As founder of a keto for diabetes group, I’ve linked the group to many of your recipes!!!! We felt like it had an apple flavour too and we kind of love that! I have just (re)embraced low-carb eating again and I so looked forward to this. I followed the recipe very carefully, because that unmarked container of white powdery stuff had to be almond flour, right? I put it into my brand new cast iron skillet, popped it in the oven and returned to fixing my homemade chicken soup. The timer went off and I looked in the oven to the horror sight of a glob of over-flowing yellow/brown thing, dripping onto the bottom of the oven. What a mess! Morale of the story: don’t use unlabeled powder and assume it’s almond flour. I still don’t know what it is, but from what happened and how it had a taffy-like texture that got hard when cold, it must have been a sweetener. Oh, and when I was putting my bag of Swerve away, I hadn’t zipped it all the way shut and it spilled all over my cupboard, counter and floor. I WILL try this again and I will use almond flour and I’ll watch it carefully as it bakes. As soon as I get some and pull my head out of the over – as I clean it. Oh my goodness, that sounds awful. I am so sorry… I totally get it. I do things like this. I was going to make your snickerdoodle mug cakes and came across this and deliced to do this. Oh girlfriend this is the best thing I’ve baked so far. I’m like you…if I can’t have my sweet stuff in the evenings I ain’t doin’ it! It doesn’t make me want to cheat and eat real high carb desserts at all. It’s the only way I can stick to this WOE which I did for my health because of a pre-diabetes diagnosis. 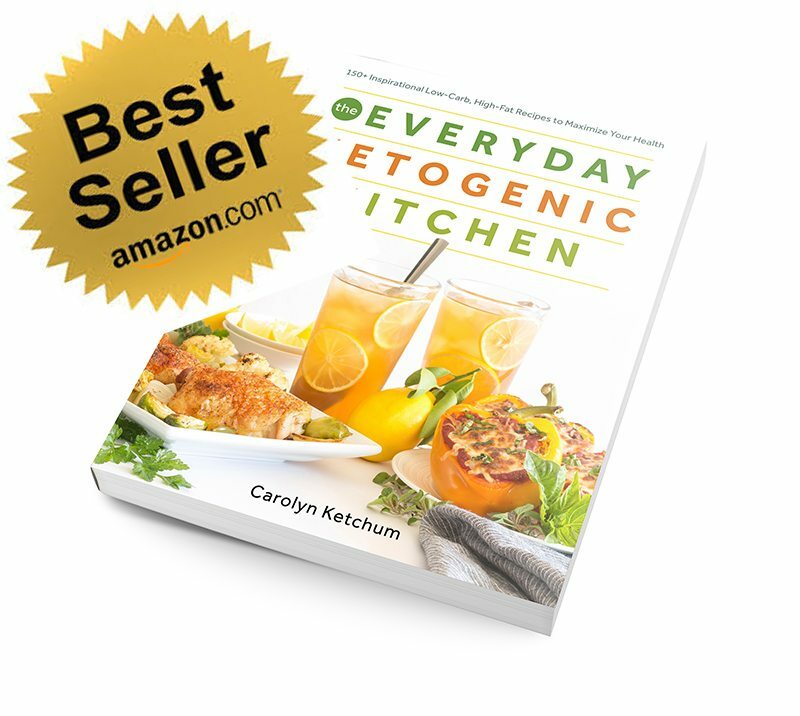 I cannot thank you enough for your wonderful recipes that have REAL ingredients that I use now every day in my kitchen. I love to bake and I really missed it the first three months until I found you!!! Down almost 40 pounds in 10 months and I have never felt deprived. I just feel fantastic all thanks to you. I’ve even told my internist about you and your recipes. He treats lots of elderly diabetic patients (I’m not elderly at 59 thank you very much) and at my next appointment, he’s getting a piece of your skillet bread and one of the browned butter donuts so I can prove to him that low carb, low sugar can be delicious and he needs to STOP telling his diabetic patients they can consume 100 g of carbs a day and stay healthy. Is it weird to say I love you to the moon and back because I do!!!! You have changed my life and I am forever grateful. Oh man! 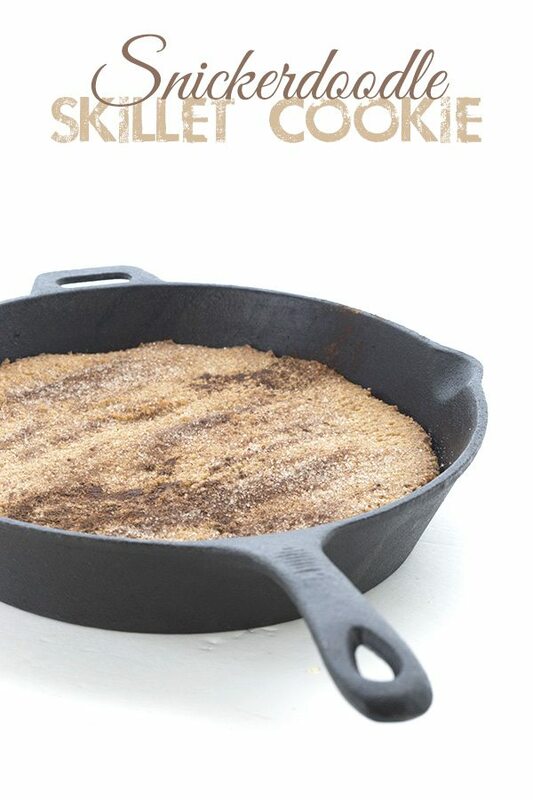 I LOVE skillet cookies! 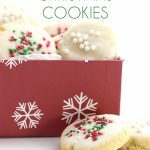 Snickerdoodle anything is the best – great idea! 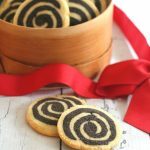 I need this cookie immediately! My youngest would be ALL over this!! He watches his carbs as I do, so I’d have to put dibs on a few slices just for me! When I asked my husband if he wanted this he asked when it would be ready! Snickerdoodle is one of his very favorite cookies. Guess I know what I’m making for dessert tonight! 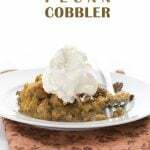 Looks great, but ……The recipe indicates that it’s one serving, which isn’t possible. 2 cups of almond flour is about 1200 calories. Hi Janet. I switched recipe plug ins recently (I had to, the old one was malfunctioning) and some of the info got lost. But what it actually says is that it makes one 10 inch cookie and then in the recipe notes you can see it serves 8. I will adjust the new recipe plug in but the info was in fact there…just not where you might expect it. I don’t have a 10” cast iron skillet, so I used a stainless steel pan. I had to cook it 35 minutes to firm up at all. It is very wet inside. I know steel doesn’t transfer heat as well as cast iron, but the cookie at 35 minutes is firm but really wet and unbaked ‘looking’. Is that the expected result? Your slice photo looks much ‘crumblier than mine. My oven’s only a year old, I trust its temperature. I am going to let it cool and rebake a slice for 10-12 minutes for the heck of it. Thanks! I’ve never tried baking this in a pan but it shouldn’t be that much of an issue. Not sure what happened here! I live in Asia and cannot get Swerve. But love your recipes. Can you suggest an alternative low carb sweetener? Thanks. Tell me what you can get and I can try to make suggestions for my recipes. Holy WOW! This. Was. AMAZING! Made exactly as the recipe stated, in my cast iron skillet, including cook time. Delicious warm out of the oven with whipped cream, and JUST as good the next day served at room temperature (with whipped cream, of course!). Thanks for the amazingly delicious (and easy!) recipes, Carolyn!